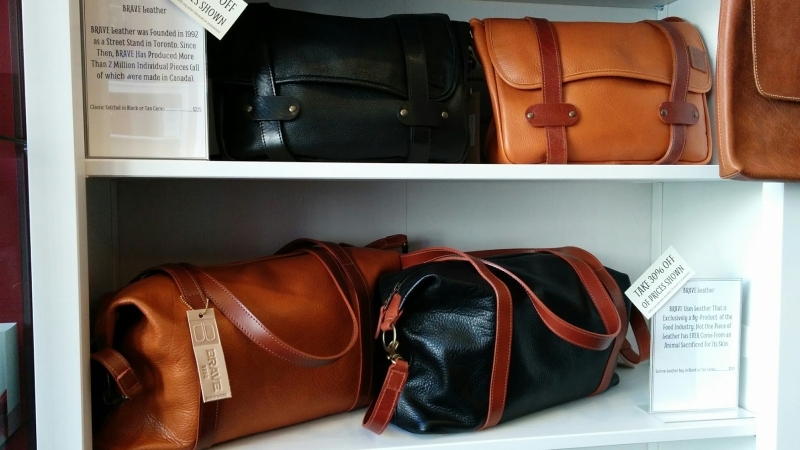 Select BRAVE Leather bags at 30% off! The Classic Satchel (top) measures 14″ X 12″ while the Sarrow Tote Bag (bottom) measures 16″ X 10″. Regularly priced at $225 for the satchel and $210 for the tote, these beautiful handmade leather bags are now priced at $158 and $147 respectively.